Our year got off to a really quiet start. Greg was wrestling a flu, which kept us grounded and away from New Year festivities. Getting sick is unusual for him. Even more unusual is the fact that I didn’t catch a full-blown version as well. Sick or not, we still had ourselves some tasty eats to create cozy evenings in, even if we weren’t in tip top shape. The Languedoc is a great region. It’s a go-to for us here at home, as well as when dining out. The region borders the Mediterranean in the south of France. It is a large and diverse region. On the one hand, it has a lot in common with the Rhône and Provence, which also border the Mediterranean. On the other hand, you’re likely to find a wider selection of grapes here–definitely Grenache, Syrah, Mourvèdre, Carignan, and Cinsault, as well as many of the big international varieties like Cabernet Sauvignon, Merlot, Pinot Noir, and quite a few others. There’s a lot of innovation in the area and there are many good values to be found. However, there’s a lot of schlock to wade through as well. It’s helpful to have some key names to fall back on. Corbières and Minervois are two appellations that have established their reputation for quality, making it a bit more likely that you're getting a solid option when you see these names on the bottle. We started the year with the Minervois. There’s a tradition in my family of having lentil soup on New Year’s Day. Greg’s family has a similar one of starting the year with black-eyed peas and collard greens. Last year I elaborated on our fam’s tradition and wrote up a version of the recipe on Nibbling Gypsy. I made it again this year, although I swapped in some leftover butternut squash in for the potatoes. Lentils are very typical of Southern France, so I figured this was a good opportunity to open one of the bottles. Minervois gets it name from the village of Minerve and it got its appellation status in 1985. Since then the wines have continued to improve over time thanks to lots of investments into winery equipment and better vineyard management. Grenache, Syrah and Mourvèdre, which must collectively make up at least 60% of the blend in Minervois. (Mourvèdre and Syrah must account for at least 20% of the blend.) Carignan and Cinsaut can make up the remainder. I could only find a bit of info on the Sentinelle de Massiac Minervois 2015, but apparently it’s certified organic and is made up of about ⅔ Syrah, with about a ⅓ Carignan. (I’m not certain if that breakdown carries over for every vintage.) The Chateau traces its origins back to the Roman Empire, but the estate was burned to the ground during the French Revolution. Bernard Bourdouresques and his family took over and revived the estate. A few days later we had a chance to get into the Corbières. I made a giant boneless lamb leg that ended up being for just the two of us–thanks to sickness and all. (The recipe for this one will be coming soon to Nibbling Gypsy, but this reworking could be done with just about any roast.) It was obviously way more than two people could eat, so we had TONS of leftovers–and I love a leftover makeover. A few pretty simple twists made a whole new feast. I’d made gravy to go with the lamb. I also had some mushrooms, which I sautéed simply with garlic and thyme in olive oil. I then added the leftover gravy (you can thin this out with stock or wine if desired) to make saucy mushrooms. I also made cauliflower steaks, which I find to be really beautiful. This recipe on AllRecipes.com basically captures what I did, although I roasted them at 425°F, since I like the cauliflower to be a little more toasty. I also added thyme to the cauliflower as well, as I figured there would be likely to be herbal notes to pick up in the wine. To finish things off, I simply sliced the lamb leg into thick pieces that I seared in a pan to reheat them. 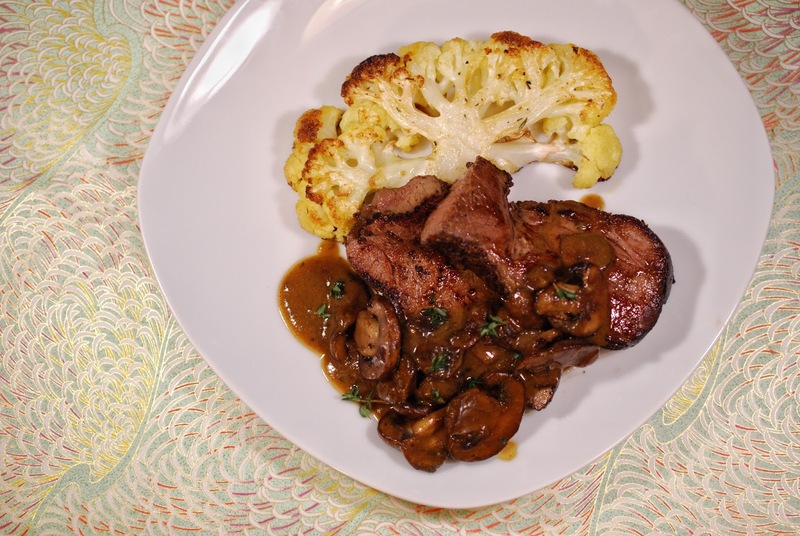 I then served the lamb along with the cauliflower steaks and topped it all with the mushrooms. Corbières is just south of Minervois in the foothills of the Pyrenees Mountain. The soils of the area are largely based on schist and it is known for making rich wines. It’s a large area and has varied terroirs. In Corbières AOC, Syrah, Mourvèdre, Grenache must make up at least half the blend in the red wines. Carignan, which was once dominant, must now not make up more than half. Photo Credit on this and the lamb pictures: Greg Hudson. 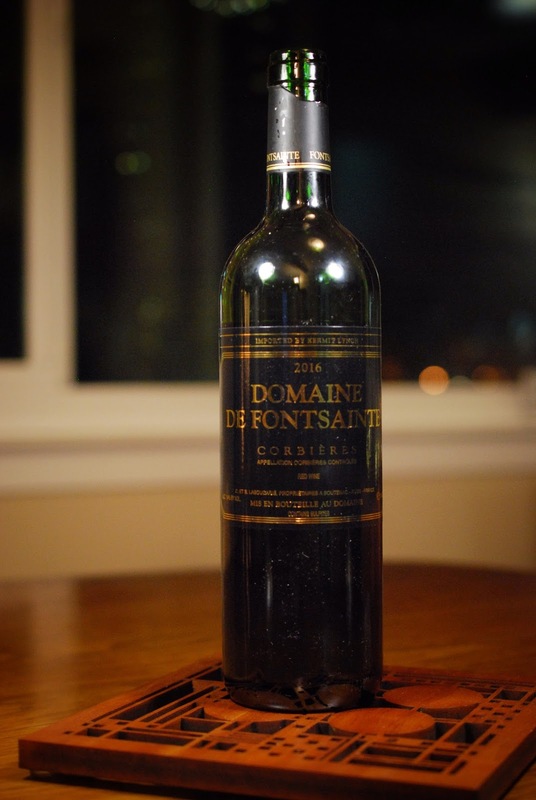 The Domaine de Fontsainte Corbières 2016 comes from a spot near Boutenac in an area known as “The Golden Crescent” that is known for being one the sunniest spots in the region. The vineyards have a south-southeast exposure and are protected from harsh winds be a large forest. At the same time, sea breezes help the grapes maintain a fresh balance. The Romans surrounding a thermal spring built the first vineyards on the estate. The spring was later named after Saint Siméon, a local patron saint. So Fontsainte is the “saint’s fountain.” The Laboucarié’s family has been making wine here since the seventeenth century and developed a reputation for quality. Similar to the Minervois, this Corbières had brambly forest fruits with thyme and other herbs. Here the fruits were a bit darker though with more blackberries than raspberries, and some dark plums and spice. (This somewhat surprising, since the Minervois had more Syrah.) It was plush, without being overbearing, and particularly velvety once it had a chance to open up. It was perfect with the lamb and it really picked up the herbal and spice notes in the food. 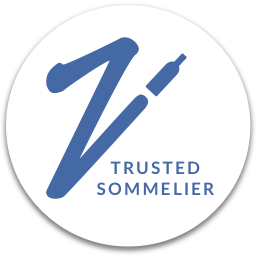 I think this is an excellent value find–WinerSearcher.com has the average price listed at $14. I think was a bit partial to the Corbières, but both of these wines would make great House Wines–perfect for everyday drinking. As I mentioned, the rest of the French Winophiles are also exploring Corbières and Minervois this month. Be sure to check out their posts as well, as there are sure to be quite a few delicious things on the menu. Not a great way to start off the New Year...hope that everyone is up to snuff again. These delicious, comforting meals paired with these wonderful wines had to have helped make the situation better. Oh the wine definitely did make things better! Thanks! Well done. I am sorry your New Year started with the flu. Glad you did not get the full blown effects. I love lentils and lamb. Your meals look delicious. All good -- we made the best of it with some fab feasts!!! Nice post, Nicole, I hope the sickness has retreated. I liked your lentil soup recipe, lentils are so underrated in the states. I love 'em. I agree -- lentils are so hearty and delicious! These pairings sound like winter essentials! I’m loving how well these wines fit into January meals. Lovely recipes here - tempting as always! Both of these recipes could become winter staples in my house - simple, tasty, and they make enough to have leftovers. All good! I'm partial to all of those things myself! Great inspiration - the lentils and Languedoc wines! Hope everyone's rebounded from flu! Definitely rebounded, thanks! All good now! I'm sorry the year didn't start out well health-wise. At least you had some wonderful wines and delectable dishes to provide a bit of comfort! Your post a wonderful read Nicole! Exactly! Good food and wine always makes things better! Sorry to hear about Greg and the start of the year, it was the same for me. The upside- he had you to make two warming, delicious meals! And it looks like you had two nice pairings. A belated new years cheers to you Nicole! Happy New Year's to you as well! And yes, good meals went a long way! Hope you all are feeling better too! I like the looks of that stew with lentils! We started the New Year in similar fashion, quiet evenings at home with some good wine from Languedoc! Despite the illness (on our end), not at all a bad way to start! Both your pairings look delicious. 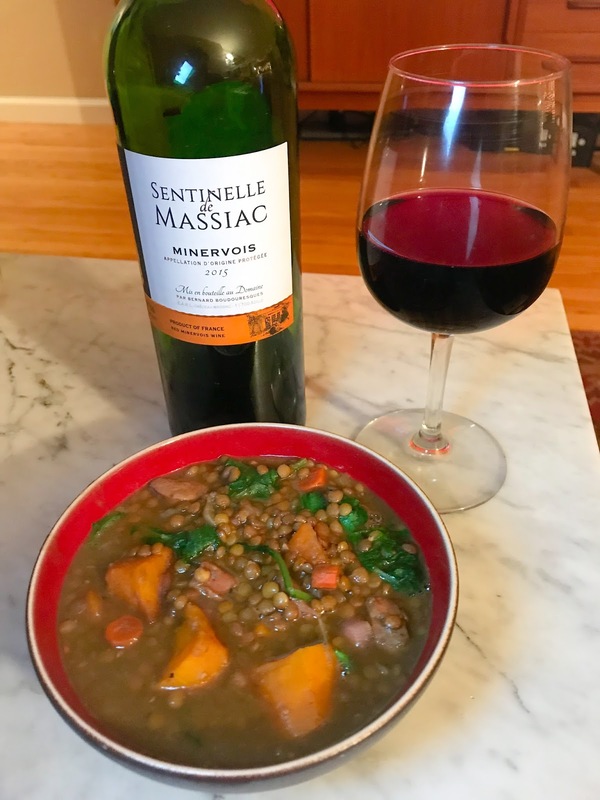 (Lentils are always a good pick to start a New Year) I also had the 2016 Domaine de Fontsainte Corbières and I can imagine that the leg of lamb was a nice pairing! Thanks Jane! And yes it really was!